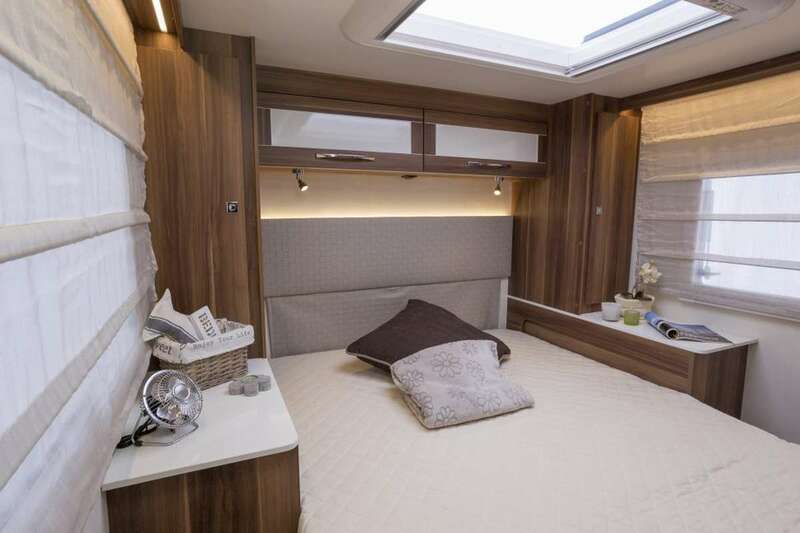 Enjoy your adventures with luxury sleeping and stylish interiors. 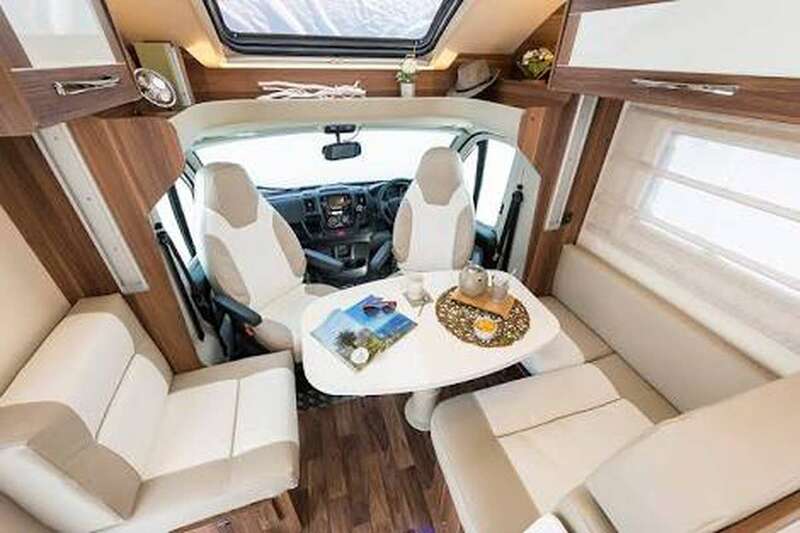 This is an easy-to drive motorhome with automatic transmission, drive on a standard car license. 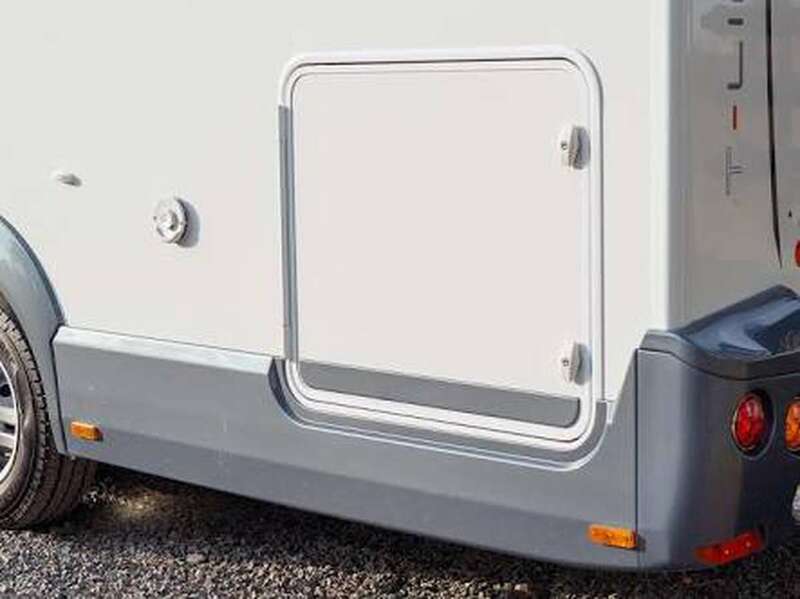 This camper comfortably sleeps 4 adults (sleeps up to 5 at a squeeze). 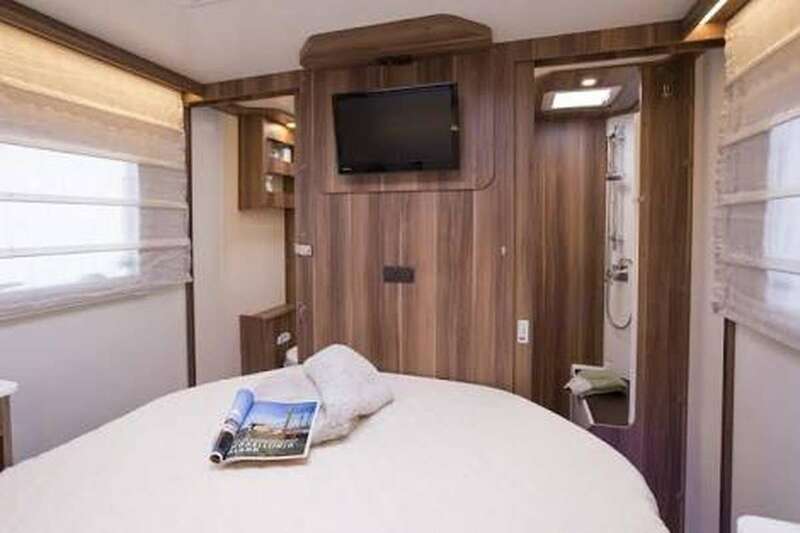 The luxurious and private main bedroom is separate from the living and bathroom areas and is accessible from either side of the vehicle. 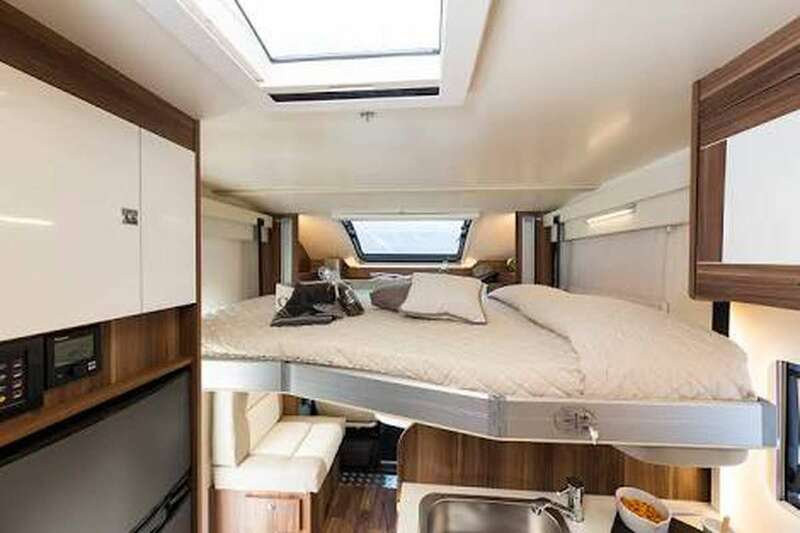 This bedroom boasts a luxurious rear island bed, with 2 wardrobes, and one of two satellite TVs and DVD players. The bed can be raised or lowered depending on your storage requirements. 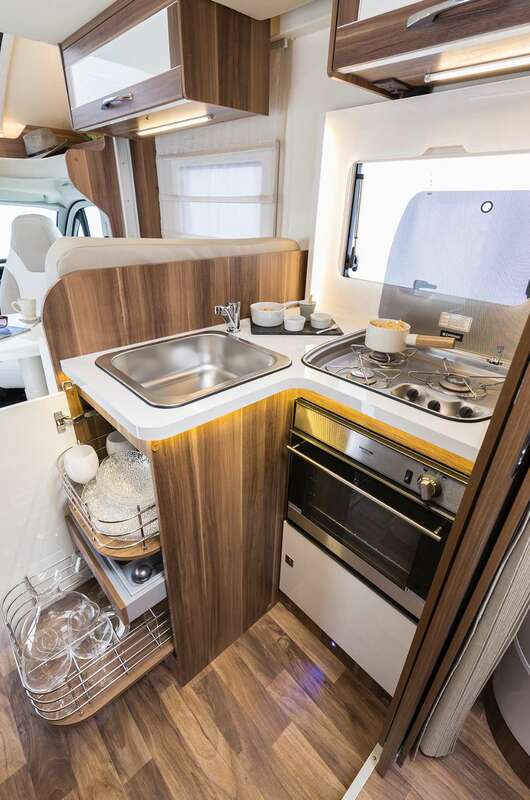 Design features dominate this unit's interior, providing a fantastic combination of practicality and style. 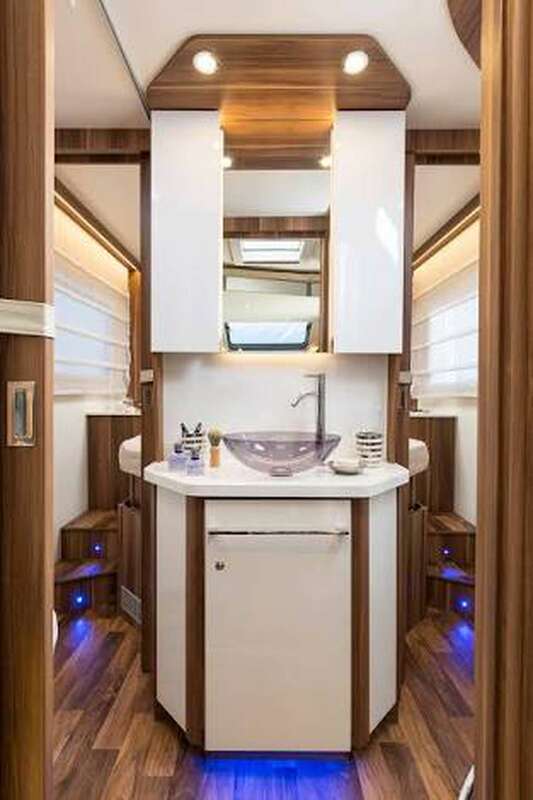 The spacious washroom is centrally situated, offering a toilet, shower and ample hand basin storage. 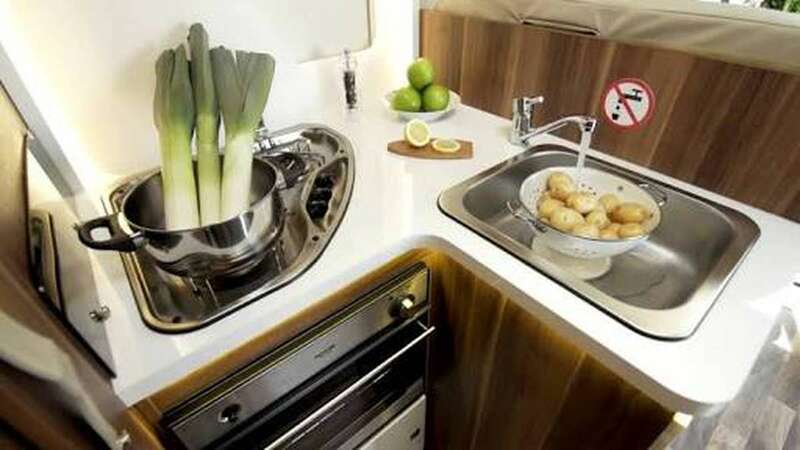 Moving forward, a well-equipped L-shaped kitchen with large 3-way fridge freezer makes cooking remotely a breeze. 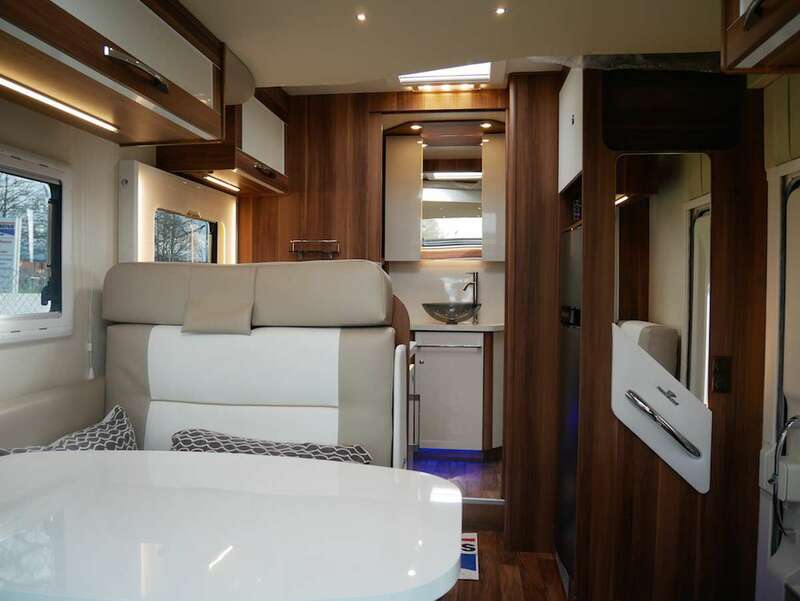 The lounge area boasts an L-shaped dinette, offering two extra seat belts (4 seat belts in total) and the driver's and passengers chairs swivel around to the dinette offering seating for up to 6. 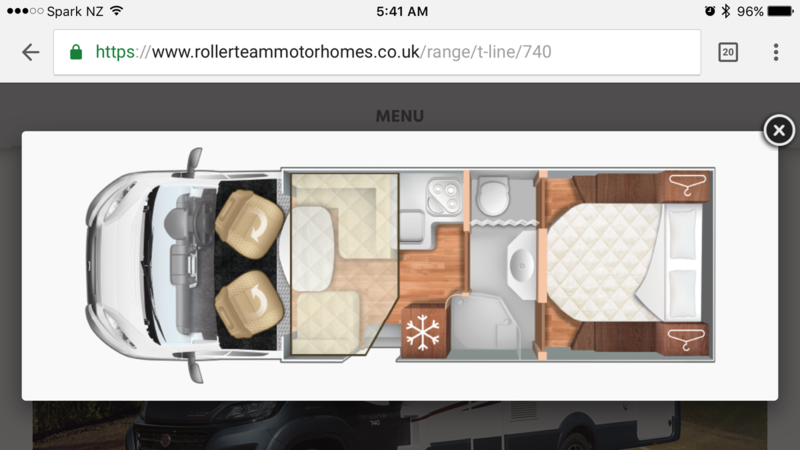 The double drop-down bed to the front cab area is electronically lowered which makes for ease of converting the lounge space from day time entertaining to night time sleeping arrangements. 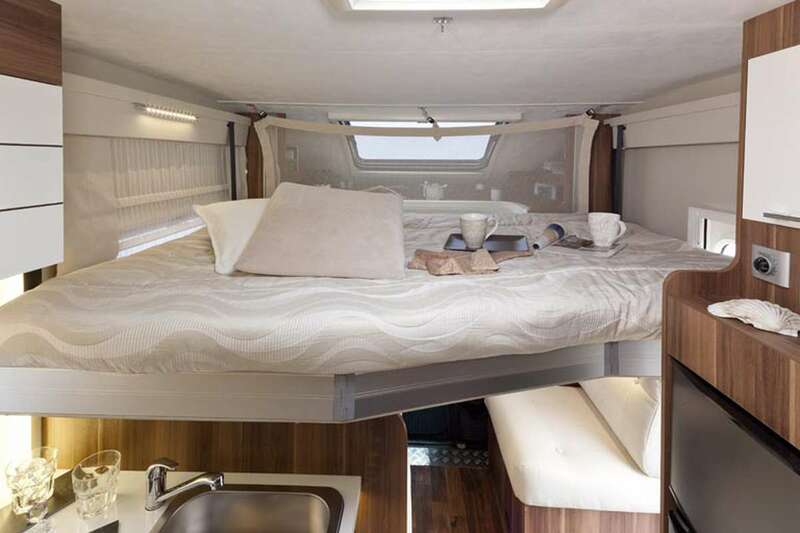 The rear garage, accessible from both sides of the camper, is large enough to store a standard kayak, surf boards, and other equipment you might want to take with you (1170x820). Cooking basics, oil, salt & pepper, tea, coffee, sugar, glad wrap, tin foil, paper towels etc. Heating in rear and front, and air conditioning in the cab. 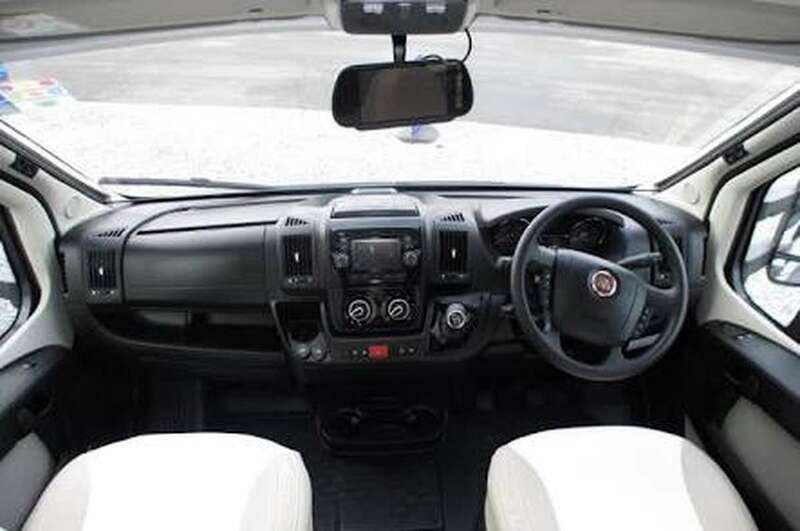 The vehicle will be supplied with a full tank of fuel at the start of hire, and must be returned with a full tank at the end of your hire otherwise a refueling fee of NZD $80 will apply plus the cost of the fuel. Toilet must be emptied before the campervan is returned. If it is left unclean there is a $200.00 fee to dispose of the waste. For this camper the security bond amounts NZD 4,500.00. You can reduce it to NZD 500.00 for NZD 40.00 per rental day. The bond will be processed through SHAREaCAMPER's secure payment system.